At the Chicago Midwinter Meeting, KaVo Kerr will share one dynamic booth — Booth No. 1604. In addition to bringing our integrated workflow solutions together in a single place where dentists can explore and engage, the new booth will feature an educational theater in its center dedicated to education. Over the course of the weekend there will be a number of presentations that highlight products, dental applications and technology trends. Dental professionals can stop by the booth, learn about the daily schedule and join those that are of interest to them. This is a physical representation of KaVo™ and Kerr™’s shared history and ongoing commitment to education and customer support. Not all digital sensors are created equal. Having transitioned to digital may make you feel like you’ve made the move to modern dentistry, but the truth is, the best investment isn’t in standard technology, but smart technology. 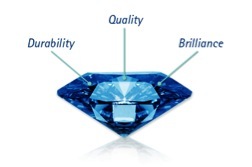 What are the three signs of smarter imaging? Integration. If you haven’t thought about the impact your choice of sensor has on your practice management system — or vice versa — you and your team may be in for quite the headache. A sensor like the Gendex™ GXS-700™ is compatible with a wide variety of practice management systems and imaging software, including DENTRIX®, EagleSoft, easydental®, Practiceworks™, and SoftDent™. Dependability. Cheaper sensors may be good for your wallet, but remember that manufacturers are making up that money somewhere. Gendex products—built with internal construction and software design to maximize reliability —have been honored with leading industry awards recognizing their dependability and quality. Image quality. GXS-700 sensors offer brilliant diagnostic results thanks to advanced CMOS sensor technology, offering the detail and clarity clinicians need. The high-performance sensor works within a wide dynamic range of X-ray exposure settings to deliver high resolution, consistently outstanding images. Some of the smartest minds in the industry choose the GXS-700 for their practices. 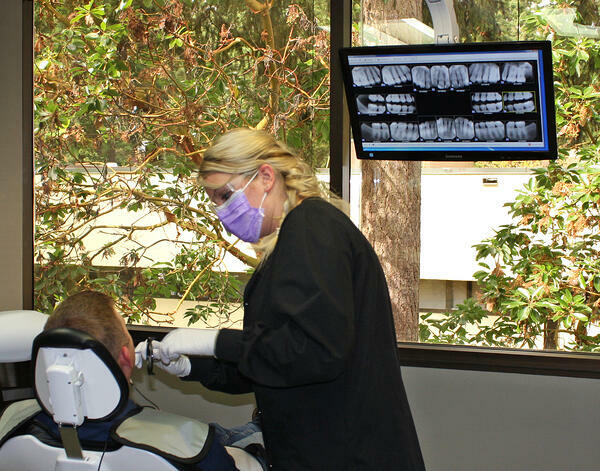 For example, Dr. Parag Kachalia, Vice Chair, Preclinical Education, Technology & Research in the Department of Integrated Reconstructive Dental Sciences at the University of the Pacific Arthur A. Dugoni School Dentistry. 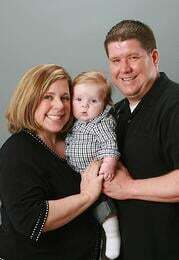 In his private practice, he’s been a Gendex user since 2005. 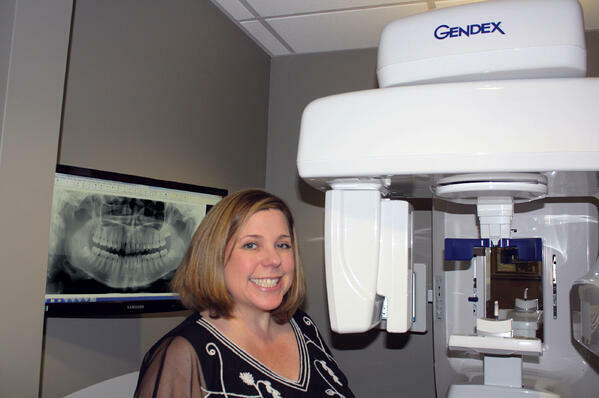 Gendex is now offering a trade-in deal for dentists ready to switch. Make the smart choice. DENTRIX®, easydental®, Practiceworks™, and SoftDent™ are trademarks or registered trademarks of their respective owners. The decision to implement digital sensors in the dental office is significant. Electronic health records can simplify treatment planning, documentation, and communication, among many other facets of patient care. 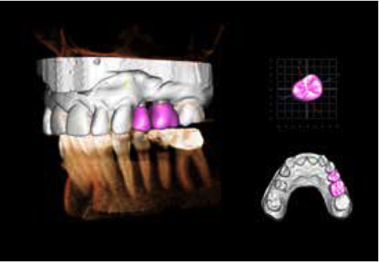 The decision to go “paperless” often transitions the dental team to implementing an imaging system that facilitates electronic image capture and archiving, which provides many benefits for both patients and practitioners. Digital X-rays can reduce radiation dose from 40% to 60% compared to traditional film.1 The transition to digital imaging, however, can be challenging. Understanding how the images will be captured and for what purpose can assist dental professionals in their decision-making process. This table provides key insights into the digital sensor selection process, which includes a discussion of the benefits of imaging derived from photostimulable phosphor plate (PSP) images vs those captured from a charge-coupled device (CCD) or from complementary metal oxide semiconductors (CMOS). A variety of factors need to be considered when choosing digital sensors. Resolution of the image is important, as the ability of the sensor to capture fine detail of hard and soft tissue is key. How the images will be captured is another important consideration. In a pediatric practice, for example, it may be paramount to have a flexible receptor in small sizes. While sensors with flexibility can be helpful, over time a PSP receptor may degrade and produce images with artifacts, requiring periodic replacement. Sensor size is an essential component to consider, as well. Patient comfort is dramatically affected by the rigidity, size, shape, and bulk (compared to film) of intraoral sensors. Rounded corners enhance patient comfort but slightly reduce the area captured in those corners. A larger sensor may facilitate capture of bone levels, but cover more of the arch in bitewing, as well as periapical X-rays. The use of extension cone paralleling (XCP) devices is helpful in sensor positioning, and greatly reduces the number of retakes needed in a full mouth series, bitewing radiographs, or individual periapical X-rays. When rectangular collimation is used in combination with digital intraoral sensors, the XCP holders assist practitioners in achieving paralleling techniques—minimizing fogging and further reducing radiation exposure up to five times that of film.1 Patients truly appreciate the efforts of dental teams in dose reduction. They also better understand dental concerns when it is possible to view enlarged images on a computer monitor. The interface between practice management software and image archiving systems should be as seamless as possible. Does a cordless sensor fit the bill, or will it be too easy to lose? Will the sensor hold up under heavy use (or will it be accidentally dropped)? Sturdiness of the sensor housing and electronics also factor into the decision-making process. 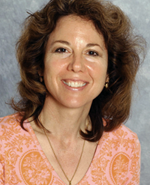 Lola Guisti, DDS, is an associate professor of dental practice and the coordinator ofradiology clinical services at the Arthur A. Dugoni School of Dentistry, University of the Pacific in San Francisco. She also directs all coursework in the radiology curriculum. 1. White S, Pharoah M. Oral Radiology Principles and Interpretation. 7th ed. Maryland Heights, Missouri: Mosby; 2013. Gendex digital x-ray sensors are designed, built, and tested to last. As with any technology product, sometimes support is needed and we have built an infrastructure to ensure the highest level of service when that need arises. With this post, we would like to answer some key questions about digital sensor support: who to contact for help, what options are available to protect your digital x-ray investment, and who to reach out to when your system is down. If you have questions about your Gendex digital sensors, you can contact your authorized Gendex dealer representative or service technician to assist and provide guidance. Our knowledgeable dealer partners are continuously trained to successfully support all Gendex digital solutions. To find your local Gendex authorized dealer, visit the dealer section on the Gendex site. In addition, you can reach out to the Gendex Technical Support team directly with your questions. Our expert team can be contacted via email or phone; whichever is more convenient to you. Here you can find the Gendex Tech Support contact info. 2. Do you offer any option to extend the sensors’ warranty? We have designed a dedicated program to protect your investment in Gendex digital solutions. This program, called the Gendex Sapphire Protection Plan, provides you with a comprehensive plan should your equipment require replacement or maintenance. If you have any questions about extending your digital sensor warranty and support, you can send a message to our warranty renewal team. Our warranty specialists will contact you as soon as possible and provide complete information on how to enroll your digital x-ray sensors, pricing information, as well as complete program terms and conditions. 3. Are there any authorized Gendex repair centers? Gendex digital x-ray sensors, like the Visualix eHD/GXS/HDI or the latest Gendex GXS-700 model, are made with customized components and built using specialized manufacturing processes to guarantee high quality levels and consistent performance. There are no third party centers certified or authorized by Gendex to repair potentially broken or defective sensors. In addition, unauthorized repairs completed or attempted on sensors might void any outstanding warranty or eliminate your ability to enroll the sensors into Gendex extended warranty plans – see Gendex terms of sale for further details. We recommend reaching out to your local authorized Gendex dealer or to the Gendex technical support directly with any questions and for assistance with your specific situation.